I would suggest a Mossberg 500 .410 with the barrel shortened, or better still the Mossberg Shockwave, which is now available in .410. +1 on the Mossberg. They also make a youth model 410 pump, that has a 20" barrel I believe, and a shorter stock. very lightweight, and would be easy to maneuver, inside a house. My parents keep a Mossberg 500 in .410 for HD, and shoot a good bit. I'll step outside the shotgun box, for a minute, and suggest a Ruger PC9, with 15 round mags. Very mild, much faster reloads(even for the not-so-gun-savvy), and a smith could take an extra 1" off the stock and fit a new pad, if needed (you can do it yourself, without much trouble, too). I know that's really pushing the budget, but it really is an easier shooting/handling weapon than a pump shotty. That's a good idea. I forgot about that new rifle. It comes in under the $500 budget, but as you noted, cutting the stock would bump the total cost. Out of curiosity, is there anything out there in .410 that is semiautomatic? I’m asking because that might be even easier for someone who is weak and infirm. She’s a starting point guard compared to my mom. Also stepping out of the shotgun box you can get a S&W MP15 Sport for right around your budget. If you are willing to watch gunbroker you could probably get it for less. An adjustable stock AR15 gets pretty short. An extra $50 and you can put a Bushnell TRS-25 on it. That is 30 rounds, and I can't imagine them having to reload. If you weren't worried about slugs going through walls, the .223 isn't going to be worse and can sometimes be better. Also about a pound heavier than pump shotguns so should still be easy enough for them (6.5 lbs). With 55gr soft point bullets, the over-penetration risk is minimal, almost non-existent. This is another great suggestion, especially with the adjustable stock or perhaps a fixed LEO entry stock. In case of any type of emergency may I recommend an alert button they can wear at all times. At least that way someone will be notified if they are not able to defend themselves quickly enough. My father has one as well as whole house surveillance. And I agree 30rd short ar may be ar good option. Very loud compaired to a 410. Wait, old peeps can’t hear that well anyways! It's a little above the $500 desired price point, but is probably pretty light and has 5 round mags. 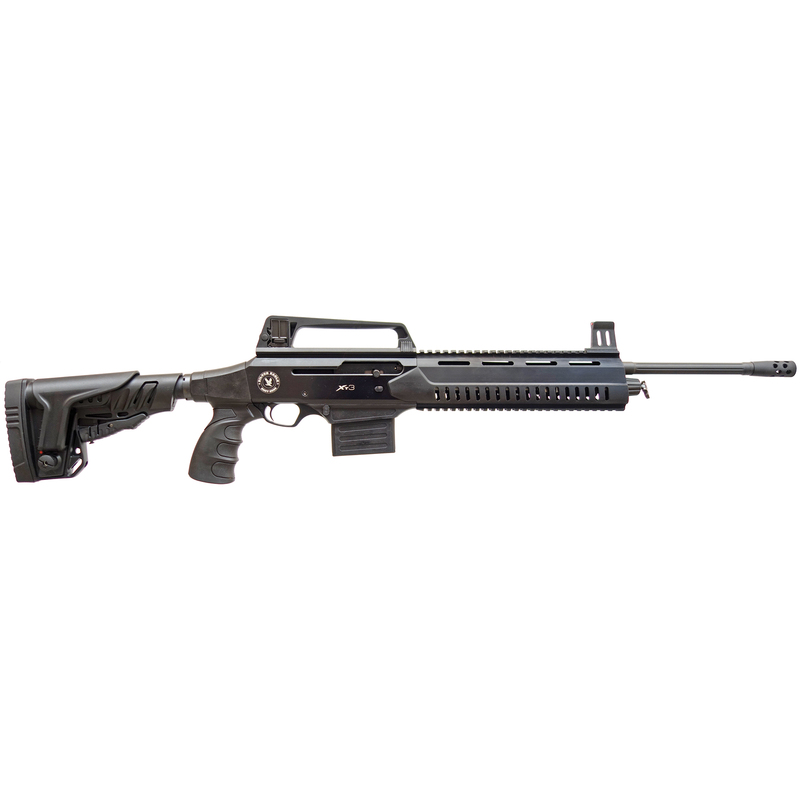 Gallery of guns has the .410 Shockwave on sale for $455.00 until the 13th. One thing I think not mentioned: It has to be loaded and immediately available, that is not placed in locked safe to be effective. I know, some of those pc about guns are probably horrified at this suggestion.